Liverpool, Walton is located in Merseyside in the north west of England. The seat was created in 1885 and has been held by Labour since 1964. The current member of parliament is the Labour party’s Steve Rotheram who has served since 2010. 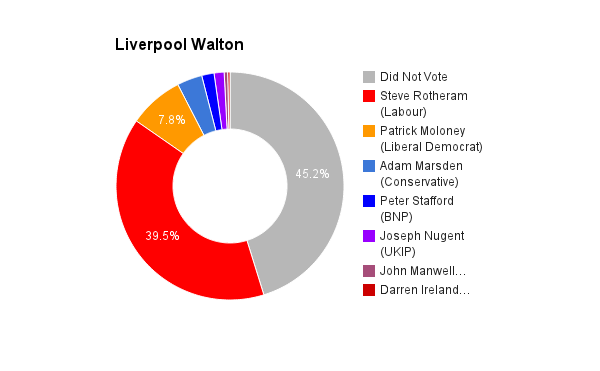 I am standing as a Pluralist Party candidate in Liverpool Walton. As a professional I have 4 degrees, 5 fellowships, over 70 research publications, including 5 books, 1 patent, and over a dozen journal papers. As a politician I have been a councillor on two local councils, serving a total of 5 years, and have contested 7 public elections. 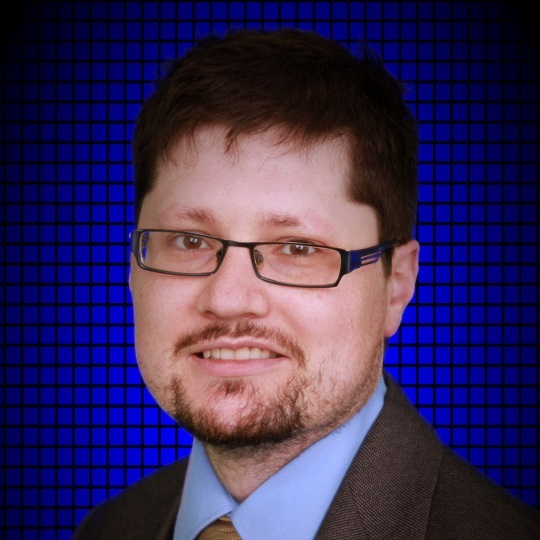 I have been a school governor, and my professional work can be described simply as being an information technology executive, researcher and writer. I am known as being an expert on Internet trolling, and am standing against Steve Rotheram because I disagree with his policies on wanting to send young people to jail for acting foolishly on the Internet. My passion for fighting for youth justice has not stopped since I was a teenager, and my professional and political background makes me the only sensible alternative to Steve Rotheram. I have 5 years experience of being a councillor in local government, including on Pontypridd Town Council. Anfield and Pontypridd are very similar. Labour have been in power for decades, promising regeneration and never delivering. As the town councillor for the Treforest ward in Pontypridd I used my status as a councillor and influence as a director of a social enterprise to bring in investment from outside the ward to make lasting changes. I am still a director of this company, which is already employing people in Liverpool, so could do the same here. Steve Rotheram’s record on standing up for all those in Liverpool affected by the Hillsborough disaster is unquestionable. If you vote for the Conservatives you will get lower taxes and lower public spending, and high borrowing to fund that. If you vote Labour you will get higher taxes, higher public spending and high borrowing to fund that. You get what you vote for. I hold a Masters of Laws in European Union Law. I learned that free movement of labour was created was so if there was a shortage of workers in one part of the Union and an abundance in another, the labour could be moved to where it was needed. The current system, where labour from one part of the Union can exist in a part it is no longer needed and use up rather than generate wealth is therefore inefficient. It is my view therefore that out of work benefits should be paid for by the county one is from and not the country one is in. If one is a refugee, one’s welfare payments should be paid by the Union directly. It is more important that everyone is able to have a taste of the good life. This happened under New Labour, even though they left people stranded on state benefits with low social mobility. Universal Credit should mean one will only have welfare payments if one is doing something to increase ones employability, or indeed self-employability. The state should be there to remove inequalities so everyone can achieve their full potential. Therefore a tax and welfare system that rewards and indeed requires hard work should be there. The current government is attacking those with limited financial funds as being workshy. I think the rich who have so much money that they don’t need to work should be targeted. Whether one is rich or poor I agree with the sentiment expressed in the statement: “Those who do not work, nor should they eat.” If the rich are so rich they do not need to work, yet are happy for others to starve, then should they not be taxed until they do need to work on the same terms as everyone else? I want the NHS to be a truly national health service and not a mass of disperate organisations using the same three letters as part of their name. If the NHS were to negotiate the purchase of medicines and equipment on a national level and not a local level, the bulk purchase savings could be spent on frontline healthcare. The tax and benefits system needs to be seamlessly integrated. Those on benefits like a Universal Credit would have a statement through showing 20% tax deducted. Those who then go into work would then pay 10% tax for two years, meaning on paper one would visibly have more money and pay less tax by working.My company currently runs The Free Digital Project, which is currently helping young and disabled people, including those in Liverpool, develop their employability skills, so that they can be independent self-employed professionals who need only be dependent on themselves and neither employers nor the state. The lack of diversity in Parliament is a direct result of politicial hegemonies determining which person represents a locality in Parliament. If popular political parties keep selecting people from a particular background that lack an apatite for reform then the areas where that party is popular will keep electing the usual suspects that represent the forces of conservatism, rather than be forces for change. It is difficult to say being an expert on the topic. I want a reformed European Union that is a union of institutions and not a union of countries. Countries would be members of the EU/CoE institutions they want to be part of, without having to sign up to what is currently like an overly expensive gym which we are only using one or two of the machines that are within it.